Action Alert: Please Make a Phone Call for Public Lands! President Trump has signed an executive order to review National Monuments to determine which should be eliminated or decreased in size. The public must be heard during this process. West Virginians, like all Americans, own these lands, and deserve to have their say on our outdoor recreation lands. About 2 dozen monuments are subject to the review, but the order allows wide discretion that puts monuments of all size at risk. The sweeping review will include all monuments created since 1996 that are over 100,000 acres, or where the Secretary determines the designation was made with insufficient input. In short, the executive order could undermine one of the nation’s most important conservation tools. 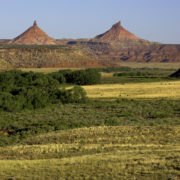 The Bears Ears National Monument in Utah, pictured above, is one of the monuments at risk. 1. Call the Department of Interior comment line at 202-208-7351. Press zero to get a recording. Say you are calling from West Virginia (or your state) and want the public to be involved in the national monuments review process. The public must be heard. 2. After the call, click here to tell us how you would like to help West Virginians for Public Lands defend our national forests, refuges, and park units. We will need your help in the coming months! https://wvrivers.org/wp-content/uploads/2017/04/Indian_Creek_in_Bears_Ears_National_Monument-e1493314296754.jpg 596 900 Kathleen Tyner https://wvrivers.org/wp-content/uploads/2017/02/logo-1.png Kathleen Tyner2017-04-27 13:27:502017-04-27 13:32:33Action Alert: Please Make a Phone Call for Public Lands! WV Rivers’ Angie Rosser Named 2017 River Hero! Join WV Rivers in congratulating our Executive Director, Angie Rosser, on receiving the 2017 River Hero Award from River Network! River Network created the River Heroes Award in 2001 to recognize and celebrate people whose efforts to protect and restore their waters have been extraordinary in scope, scale, impact and heart. River Heroes are nominated by peers, selected by peers, and celebrated by their peers at River Network’s annual conference, River Rally. Angie credits WV Rivers staff and volunteers for the award, and for the growing awareness of the need for safe water. “Angie brings a unique leadership style and inclusive attitude that proves very effective in building a strong coalition of supporters,” said Autumn Crowe, WV Rivers program director. https://wvrivers.org/wp-content/uploads/2017/04/9781b522-79fc-4202-838e-b54fb4a7e608.jpg 358 600 Kathleen Tyner https://wvrivers.org/wp-content/uploads/2017/02/logo-1.png Kathleen Tyner2017-04-26 15:07:532017-04-26 15:17:57WV Rivers' Angie Rosser Named 2017 River Hero! Charleston, WV — The River Network, a Colorado-based national nonprofit organization that supports local and statewide organizations involved in restoring and protecting rivers and streams, has named WV Rivers Coalition’s executive director Angie Rosser as one of its 2017 River Heroes. The River Heroes Award was created in 2001 to recognize and celebrate people whose efforts to protect and restore their local waters have been extraordinary in scope, scale, impact and heart. Rosser joined West Virginia Rivers Coalition (WV Rivers) as the executive director in 2012, after serving on the board of directors, with a background working in West Virginia on social justice issues in the nonprofit sector. She is known as someone who brings both a professional commitment to clean water for the common good, as well as a personal desire to protect the waters of the Elk River that flow through her backyard. Rosser credits WV Rivers staff and volunteers for the award, and for the growing awareness of the need for safe water. 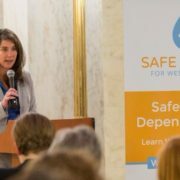 “She brings a unique leadership style and inclusive attitude that proves very effective in building a strong coalition of supporters,” said Autumn Crowe, WV Rivers program director. You have the opportunity to submit comments on the Antero landfill National Pollutant Discharge Elimination System (NPDES) Permit. This is an important permit that regulates stormwater discharges from the Antero landfill which will dispose of the salt generated at the Antero water treatment facility. The WVDEP will be holding a public hearing on Antero’s NPDES permit on Monday, May 1, 2017. 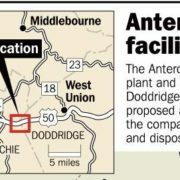 The proposed Antero landfill and wastewater treatment facility encompasses approximately 486 acres located in Doddridge and Ritchie Countie. As proposed, facility would treat fracking wastewater for re-use and dispose of the salt byproducts in the attached landfill. The project would impact 89 streams and 11 wetlands and is located within Hughes River Water Board’s drinking water protection area. To learn more about the Antero NPDES Permit or how to submit comments, view our fact sheet. Comments are due May 11, 2017. The West Virginia Department of Environmental Protection (WVDEP) Division of Water and Waste Management (DWWM) is accepting comments on Antero Landfill National Pollutant Discharge Elimination System (NPDES) Permit. The NPDES permit covers stormwater discharges from the Antero Landfill facility which will be used to dispose of the salt generated at the adjacent Clearwater water treatment facility. You can submit comments on the permit to WVDEP through May 11, 2017. If you have questions, please contact Autumn Crowe, acrowe@wvrivers.org. 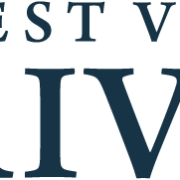 You can easily submit comments through WV Rivers’ advocacy tool here. By mail referencing “Permit WV0117579: Antero Landfill NPDES” in your letter. Enforceable Discharge Limits: The permit requires monitoring for over 40 different pollutants but it does not impose limitations on any pollutants. Without pollutant limits in the discharge water, there is no legal enforceable limit to require that pollutants remain under safe levels. Request that WVDEP impose limitations of pollutants in the discharge water. Discharges in Source Water Protection Area: There are 13 outlets that will discharge into Cabin Run a tributary of the Hughes River, and an unnamed tributary of Dotson Run another tributary of the Hughes River. The Hughes River provides source water to the Hughes River Water Board. There are no requirements limiting discharges within a source water protection area. Request that WVDEP impose strict pollutant limits to protect Hughes River, a drinking water source for thousands of people. 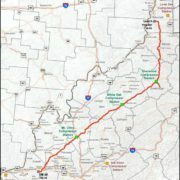 Permit Modifications: The permit allows for future modifications that would reduce the discharge locations the pollutants to be monitored if there are consecutive monitoring events that don’t show levels of certain pollutants or if pollutant levels appear similar at different locations. Request that WVDEP adhere to the pollutant parameters and locations in the original permit and not allow future modifications. Radioactivity: The radiation detection system proposed for the landfill detects gamma radiation; however, Radium 226 and 228 have very little gamma radiation meaning it will take a lot of it to trigger an alarm in the radiation detection system. Therefor the radiation detection system will not be very effective. Request that WVDEP require monitoring of activity levels (pCi/g) for specific radioactive isotopes of Radium 226 and Radium 228. Despite Losses, We Won’t Be Silenced! As WV’s regular legislative session enters its final hours, the dust is beginning to settle and one thing is clear: polluters want to cover the truth and silence your concerns. A third bill that weakens water protections this session, SB 687 – the “coal bill”, is expected to pass. You did your part. You sent a total of 12,350 letters supporting clean water. 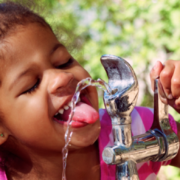 We saw 51 people speak out for water during public hearings. We did our part. We provided 8 fact sheets and bill analysis to the public and legislators. We were included in more than 30 news stories and interviews. But ultimately more legislators chose narrow industry interests over the public interests. Yesterday, we joined together with other groups to call our Legislature and Governor out for turning a deaf ear to science and citizen concerns. But just hours later, the House rejected an amendment to SB 687 which would have protected water. We’d like to thank Delegates Fleischauer, Lynch, Pushkin, White, Hornbuckle, Miley, Pyles, Isner, Moore, and Rowe for listening to West Virginians and voting for water. View press coverage here, here and here. Today, as we look back over the legislative session, we’re frustrated and we’re disappointed. But we’re not giving up and we’re not going to be silenced. Next week, we’ll be sharing in depth analysis on what the results of this legislative session means for water in West Virginia and how, together, we will move forward. 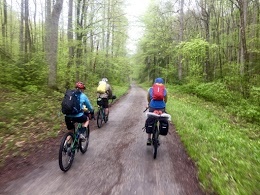 Join WV Rivers in the heart of the Mononghela National Forest during our Best of Birthplace of Rivers Weekend, May 20-21! The weekend kicks off on Saturday, May 20, at our basecamp for the weekend, the Elk River Inn in beautiful Slatyfork, WV. After check-in we’ll have interactive programs for folks of all ages. Learn about the natural wonder and beauty of West Virginia’s forests and rivers. 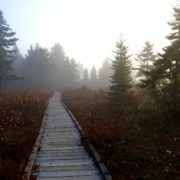 Then join a Leave No Trace Master Educator for a training on how to leave only footprints when exploring the great outdoors. We’ll have an early BBQ dinner, then once the stars come out we’ll gather around a campfire. advanced hike exploring the different habitats found in the Birthplace of Rivers. Space is limited, so make sure you register for the Best of Birthplace of Rivers Weekend soon! Adult registration is $20/adult and youth registration is $5/child under 15 years old. Registration includes Saturday dinner, Sunday lunch, and all programming. Saturday lodging and Sunday breakfast are not provided. Learn more. Register for the Best of Birthplace of Rivers Weekend here. We’ll follow-up after you register with more information. A team of a dozen clean water advocates representing six West Virginia counties joined us on Capitol Hill on April 5 to meet with Congressional members and staffs to share stories on how federal funding has benefited watershed protection and restoration in the Mountain State. Chesapeake Bay Day on the Hill is organized annually by the Choose Clean Water Coalition, a network of more than 200 organizations from Bay states for which WV Rivers serves as WV’s state coordinator. 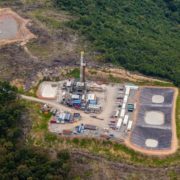 Are you confused by the complicated permitting process required for shale gas development and it’s related infrastructure? 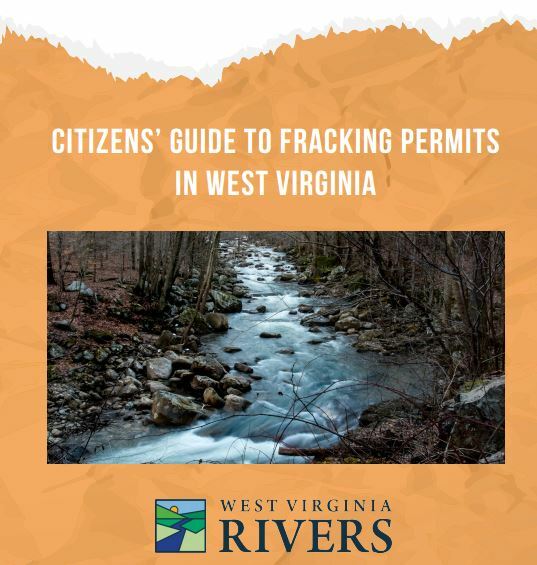 That’s why we’ve created the Citizen’s Guide to Fracking Permits in West Virginia. We’ll be holding a free webinar on the Citizen’s Guide on April 12 with our partner, Downstream Strategies. Learn about the Guide and how it can help you submit meaningful comments to the WVDEP. Register for the webinar here. 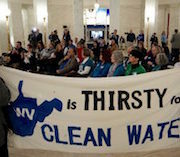 https://wvrivers.org/wp-content/uploads/2017/04/People-holding-water-banner.jpg 157 267 David Lillard https://wvrivers.org/wp-content/uploads/2017/02/logo-1.png David Lillard2017-04-14 14:28:582017-04-24 15:38:14Despite Losses, We Won't Be Silenced!